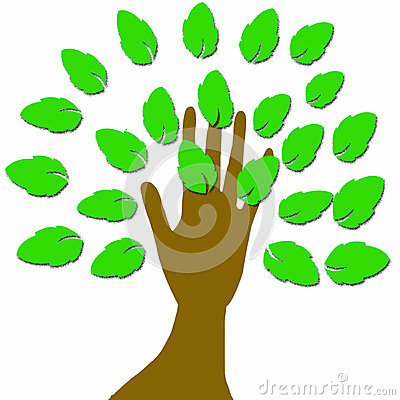 A hand with green leaves. Vector color set of hand drawnjojoba elements. Watercolor fantasy neon sky galaxy moon leaf set. Cosmos violet purple pink blue leaves on white background. Traditional flower and leaf line icons isolated. Asia. Japanese. Thai. Chinese.